After four days in Yangon, the last two with basically no internet, we were questioning our decision on coming to Myanmar. 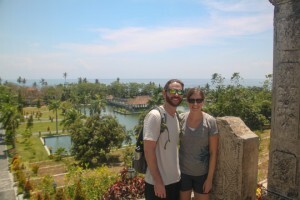 Our first couple days in the city were busy with seeing pagodas and taking the circle train around town, but we weren’t digging the food anymore and we thought our last-minute two week plan for Myanmar may have been a mistake. However, after our mini vent session we realized we probably sounded ridiculous to any fly on the wall listening. We are traveling and seeing unbelievable sights, so we tried to rehash the positives over the last few days and snap ourselves back to reality. 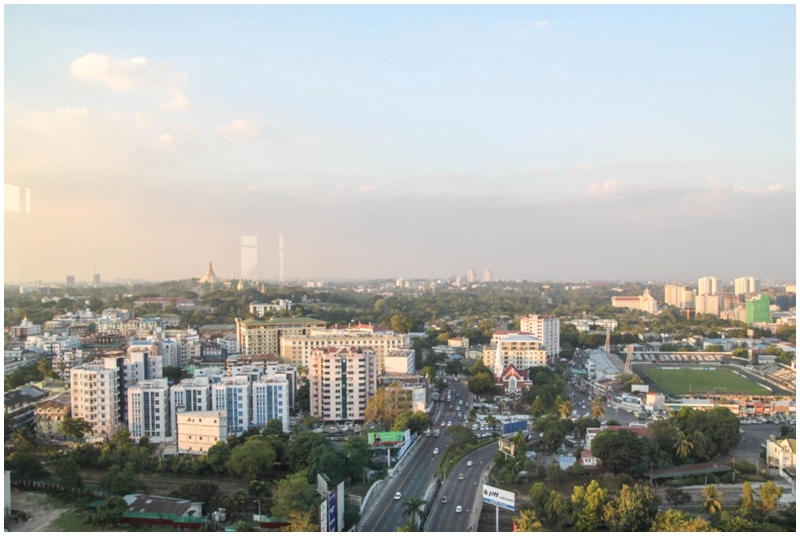 We woke up and found we saw some pretty amazing things in Yangon. 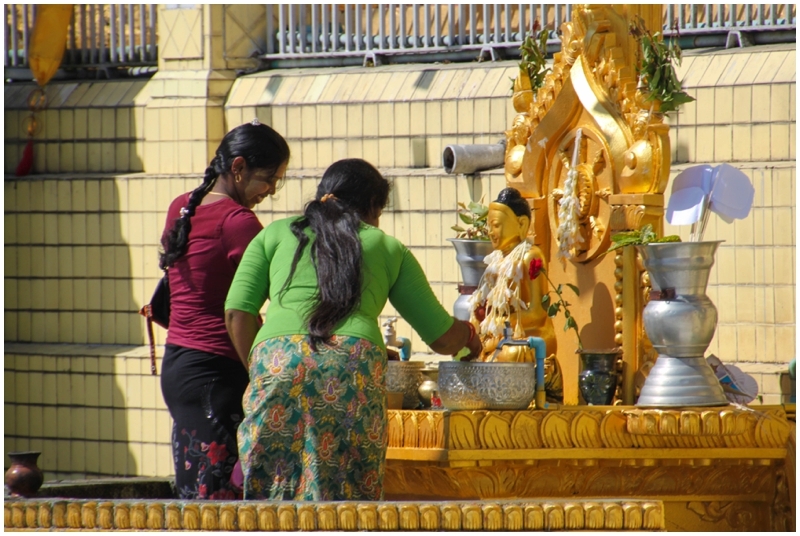 When visiting Yangon, this is by far the main attraction and pagoda to see. The whole area has a large footprint, with four entrances eventually leading to the main pagoda as the centerpiece. It can be seen from many spots in the city because of its size and it is especially visible at night when it is lit up with lights. We visited during the day, but we heard going in the evening is incredible with the lights throughout the grounds. There is a fee to enter for visitors, roughly $8 USD per person, but it is well worth the price of admission. You must also be aware short pants are not allowed, so you may be turned away or required to purchase a longyi to cover up. 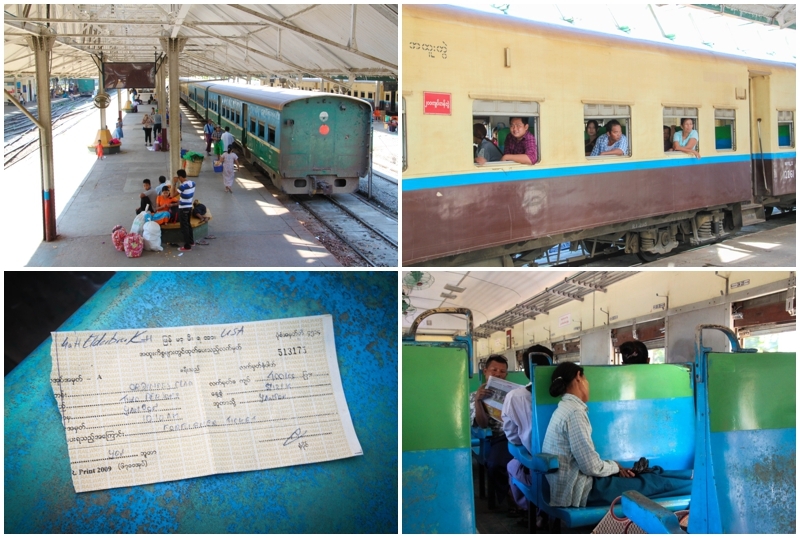 We were looking to purchase a longyi in Myanmar anyway, so we paid the $5 USD and were on our way. Our pictures barely do the place justice as it is absolutely incredible to see the size and detail throughout. Gold leaf is used everywhere and it makes the place seem that much more magical. 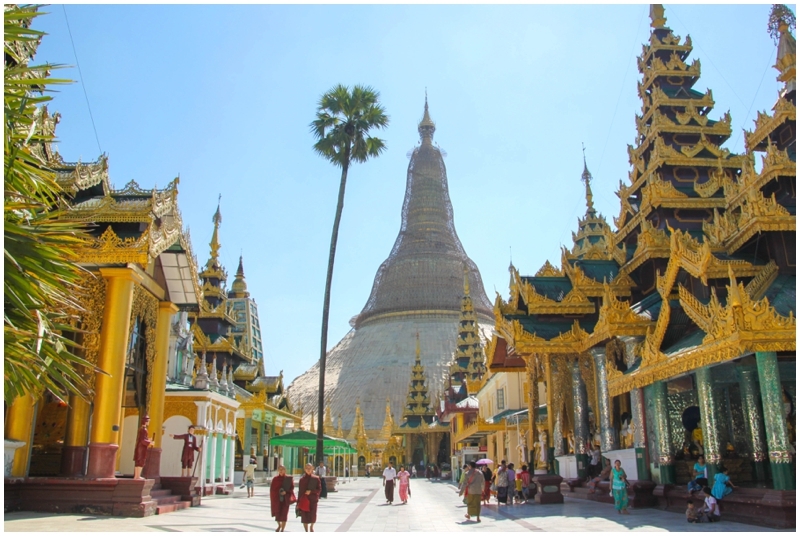 This pagoda is a must see if visiting Yangon! This is another pagoda to check out in Yangon, which is located downtown near the river. We stayed in the downtown area, so walking here was a breeze. While the pagoda is much smaller then Shwedagon, it is still quite a sight. It was originally built around the same time as Shwedagon, possibly 2500 years ago according to local legend. The special characteristic of this pagoda is that it is believed to contain a sacred hair of Buddha. We decided to visit the Thiripyitsaya Sky Bistro in Sakura Tower one evening as we wanted to get a view overlooking the city. We read a bunch of conflicting reviews of the restaurant online, so we decided to check it out during happy hour for a couple drinks and appetizers. We found the views to be quite good, with the food and drink being ok. They also have a rule of no photography, for the sake of other people dining, but it wasn’t being enforced during our visit. The happy hour deal was 2 for 1 draft beers and discounted apps. It is not a terrible deal, but the regular menu did appear pricey in comparison to most restaurants we ate at during our time in Yangon. We would suggest reading some online reviews and decide for yourself, but the views were worth the price we paid at least. We really enjoyed our time on the circle train that runs around the city. You can read our full recap HERE. We can’t believe the places we have seen either! They are truly amazing! Hey guys! It’s so easy to get wrapped up in ourselves when we travel, isn’t it?! That happens to us to, we get so focused on blogging sometimes that we forget to look at the non-existent internet connections as blessings in disguise at times. We too have to step back at times and put it all in perspective. If you don’t do that, you will likely miss out on a chance to let yourself really experience the place you are in. 🙂 Cheers!